Born in Wuhan, Hubei Province, Xinyuan Zhang is known for her heavy eyebrows and flame lips, dubbed as the number one beauty in China. She is a fashion icon, loved for her good girl image, a combination of classic and cute features. She was spotted during the Lanvin Hiver 2014 Women’s Ready-to-Wear runway show wearing pink metallic taffetas lamé blazer, silver “Dream” liquid lamé t-shirt, gold liquid lamé skirt, and star “Altair” necklace, crystal bracelet, gold stitched cross-body bag, all from the Eté 2014 Runway Collection, and black sandals from the Eté 2012 Runway Collection. What do you think of her metallic look? Do you like the combination of accessories she did? headliners of this collection, in hand. 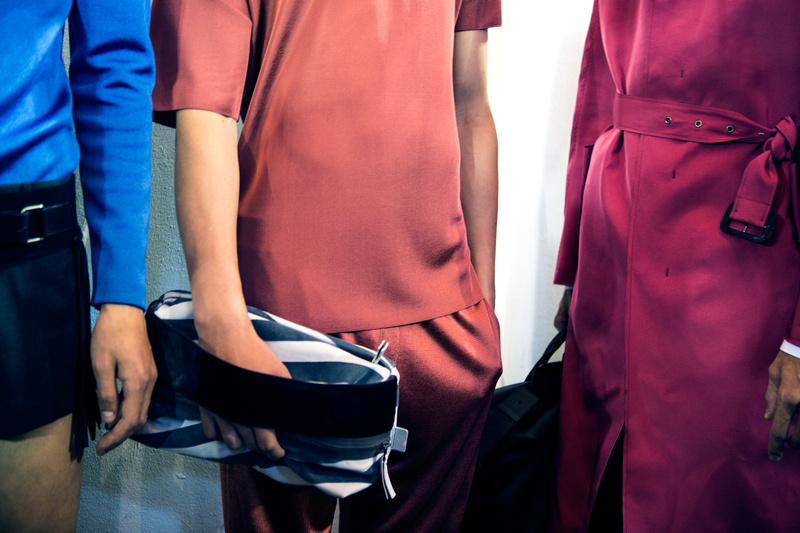 at Lanvin using a fresh new medium for summer 2014: leather. buckled loafers with a studded finish or a pair of double-strapped sandals in the same tones. I like the colors of the bags, men can match them with their outfits easily, and they come in different sizes, depending on the needs. If you’re going to the gym, you can have the backpack, if you’re travelling and need a small bag to take all your shaving products, you can choose one of the small ones that can attach to your hand. What about you men? Do you like carrying bags? Which do you think is more practical for you? 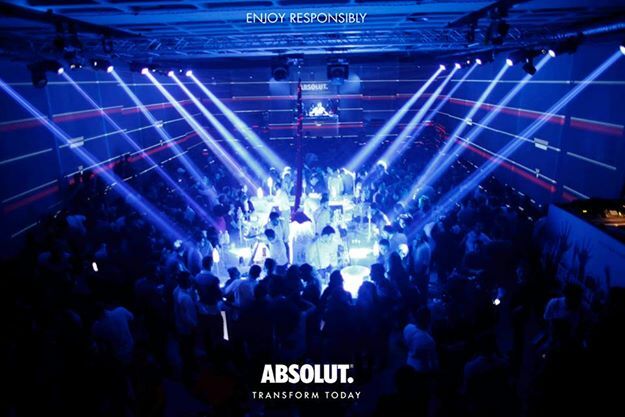 I was invited a while ago to a party by Absolut, that was held at Concrete 1994, at Sin El Fil. The aim of the party was to connect with the creative spirit in all of us and to inspire artistic transformation around the world. There were live performances of musicians, dancers and DJs that took the mundane and the ordinary to the extraordinary. 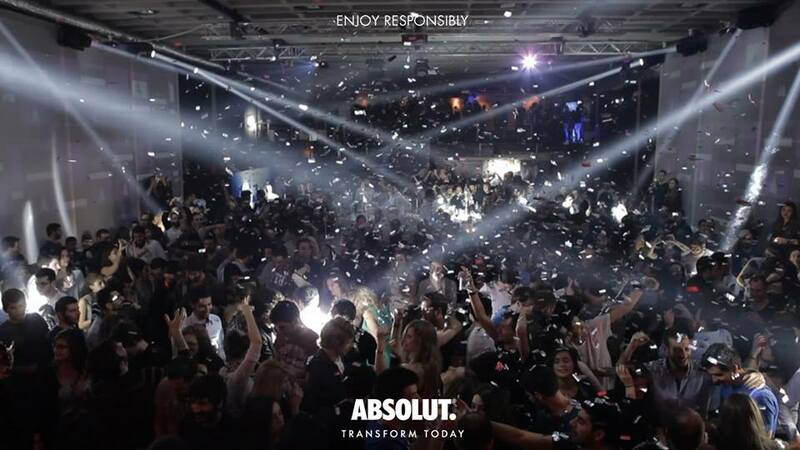 Absolut was announcing a game-changing new brand campaign, aiming to connect with the creative spirit in us all and to inspire artistic transformation around the world. Under the new brand ethos “Transform Today”, Absolut is collaborating with three cutting-edge artists who ignore fate and break boundaries, transforming themselves and their creative disciplines in the process. 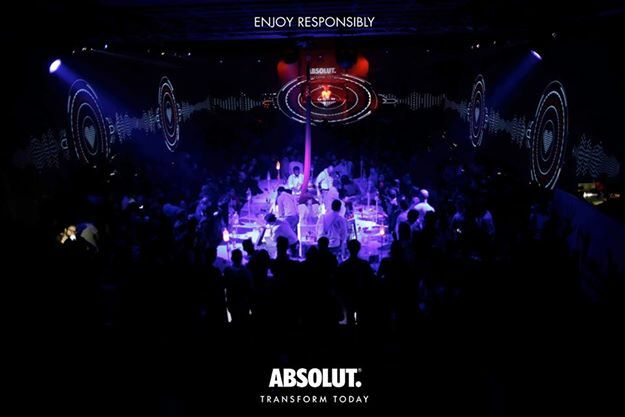 With the campaign, Absolut continues its long history of pushing the boundaries of contemporary culture to connect with the passions of a generation. Continuing the brand’s history of championing the cultural impact of contemporary art, Absolut sought out collaborators with daring spirits and a dedication to continuously transform the possibilities of personal expression. Defining the cultural zeitgeist, the three collaborating artists craft their work by changing things, breaking things, challenging conventions and recreating themselves in order to become something more. A French multi-talent who constantly transforms from illustrator to designer to director to musician. An emerging fashion designer from France who has already challenged and transformed the traditional world of haute couture. A Brazilian graphic novel artist who transforms graphic design by looking at each page he creates as choreography, not just simple storytelling. “Transform Today” is a rallying cry for a generation of creativity to break free from the idea that anything is predetermined and to take control of their future. The brand ethos manifests our belief that tomorrow is not a given, it’s for everyone to create. The three creative collaborations were introduced to Lebanon in early February by using quotes from each artist to trigger the public’s curiosity, executed through outdoor and digital platforms. The essence of these quotes was later revealed as an introduction for the campaign supported by the global visuals showcasing each artist’s work, in addition to a consolidated TV commercial that brings the campaign to life. Absolut has always tapped into the transformative power of art and, in its upcoming activities, will dial-up even further its input by moving to the next phase of the campaign: the create phase. 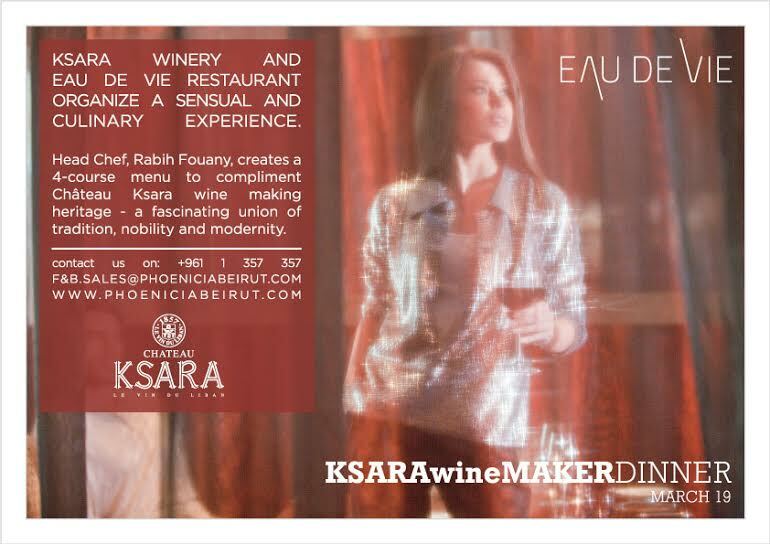 Two days ago, Ksara winery and Eau De Vie restaurant organized a sensual and culinary experience. The Head Chef Rabih Fouany, created a 4 course menu to compliment Chateau Ksara wine making heritage. 1- When did you decide that you wanted to be a chef? I guess the feeling started since I was a child. It was triggered by my Mother, as I used to watch her cook and prepare delicious meals and wait to see the guest’s reactions …. and they were always amazed. 2- Who were your teachers? Who influenced you to become a chef? I had this great passion within me for cooking and it was developed and influenced even more when I used to see the creativity and unusual dishes of the Star Chefs around me. As for my teachers and mentors, I had the great opportunity to work with: Meilleur ouvrier de France Jérôme Leminier, Maitre cuisinier de France Guillaume Brare, Michelin star chef Alain Passard. 3- What are your essential ingredients, that you use in cooking? 4- What’s the one cooking tool, that you can’t work without? 6- What are you preparing for the Ksara wine maker dinner? 7- Do you use wine in your recipes? 8- What’s your favorite comfort food? I don’t have one favorite but I would say Mediterranean cuisine & modern European cuisine are top ranked as my comfort food. 9- What advice would you give house wives who are inspired by your style of cookery? Every one of us has a hidden Chef inside him … By attending my cooking class for two sessions you will be able to add experience and value to your kitchen. 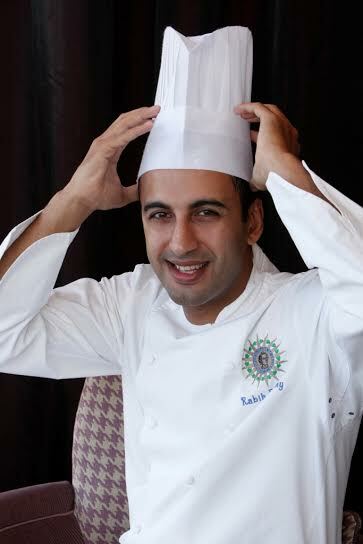 Will you be attending Chef Rabih Fouany cooking classes? With the urban woman in-mind, the “SIMPLICITY” collection hosts designs that are made for the active, glamorous, chic and independent. This MAISON RANA® SS14 season brings geometric print in black & white, accentuated with silver or gold-embroidered trims from the gulf heritage as touches to each design, a tribute to wonderful cities we love. With MAISON RANA®’s trademark minimalist design, this contemporary collection mixes between symmetric cuts, high-end fabrics, classic colors, touches of pastel… all aimed at bringing staple pieces to a woman’s wardrobe. 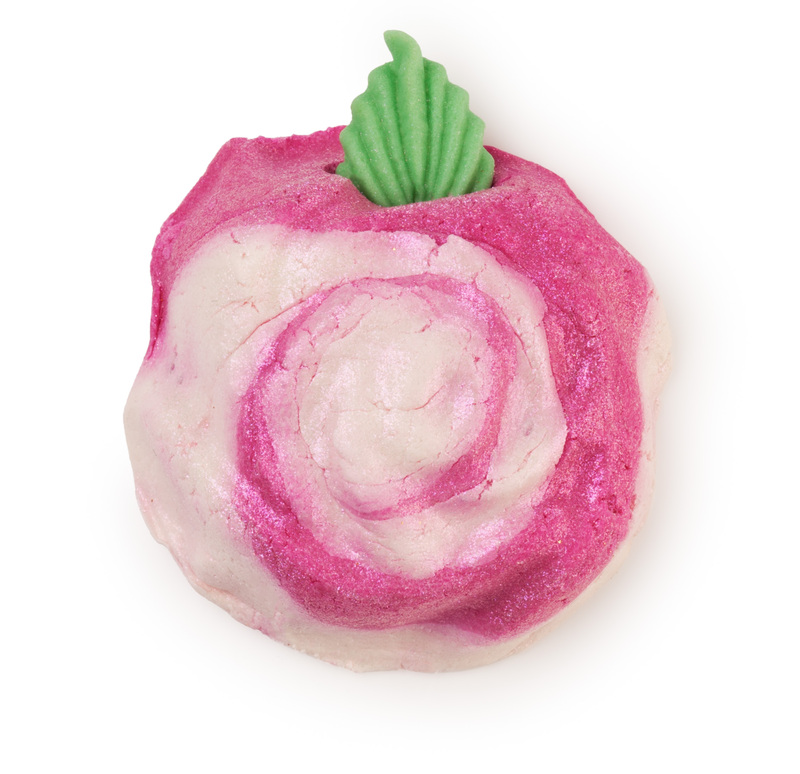 This beautifully crafted bubble bar will instantly transform mum’s bath time experience into a rose filled voyage through a mountain of skin softening bubbles. Rose hip oil and cocoa butter grated into the mixture provide the softening properties; while rose and lemon provide the fragrance. This bubble bar has a brand new formula … cornstarch has been added to the mix to limit the rising effect of our other bubble bars. This means you get a more condensed bar that can be broken in half and used over two baths. Or you can use the whole things for masses of creamy, softening bubbles. A new bath bomb with two halves – each lightly scented with one half of the two-part Gorilla Perfume fragrance, Breath of God. 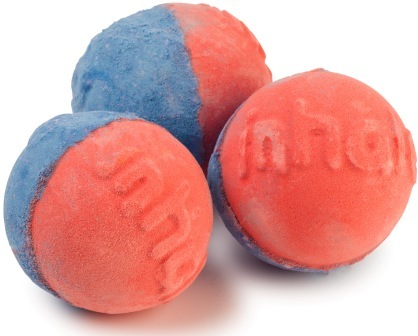 The Inhale half fizzes quickly, allowing mum to breathe in the light and fruity neroli and rose to relax. She can then lie back, breathe out and enjoy the grounding effect of the Exhale fragrance, with notes of smoky cedar wood and revitalizing lemon and grapefruit. This half fizzes more slowly to give mum an even longer lasting soak. Inspired by Wonder Woman and created for wonder women! 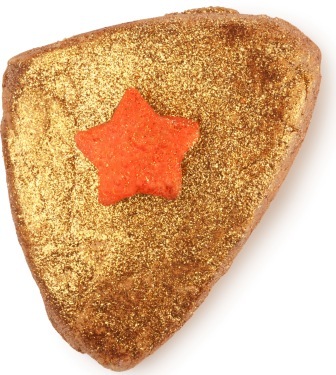 Mums can channel their inner superhero when using this bubble bar, covered in gold sparkle to replicate Wonder Woman’s gold tiara! Packed full of sandalwood and Brazilian orange oil from our best-selling Gorilla Perfume, The Sun, Wonder Woohoo is ideal for overworked super mums in need of a little time to recharge and rejuvenate. To start by unboxing it, the light lilac plastic cover is cute and soft, opening it, you find a sponge to apply it and a wide mirror to check all the corners of your face. 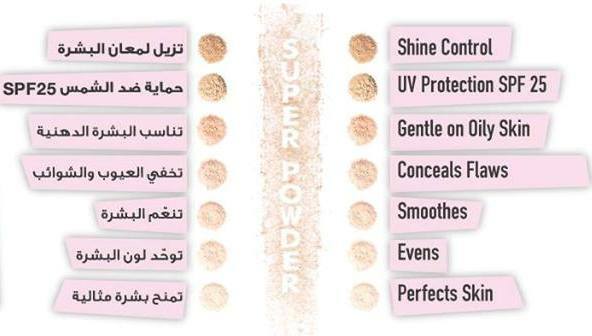 The Clear Smooth Powder, is soft on the skin, with UV protection SPF 25, it smooths and evens, living you with a flawless and perfect skin. If you have an oily skin, it goes gently on your skin, absorbing the oil and providing shine control, leaving you with a fresh feeling throughout the day. Since I have a combination skin, the Clear Smooth Powder had a light/medium covering effect on my skin, I have to retouch it every few hours. For everyday use, I use it alone, and for the evenings, I apply it after my BB cream or foundation. Did you see it in the stores? Will you be trying it? People who know me well, know that I’m a huge cars fan, especially masculine, and wild cars. 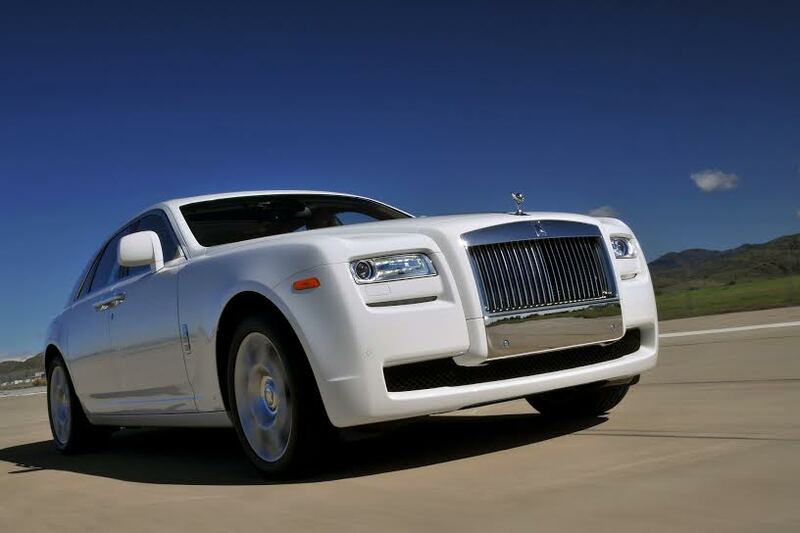 But in my post today, I’m gonna introduce a true, classical babe… The 2014 Rolls-Royce GHOST! Since its launch in 2009, the Ghost has been a vision of simplicity – taking the core values of Rolls-Royce and creating contemporary effortless luxury. 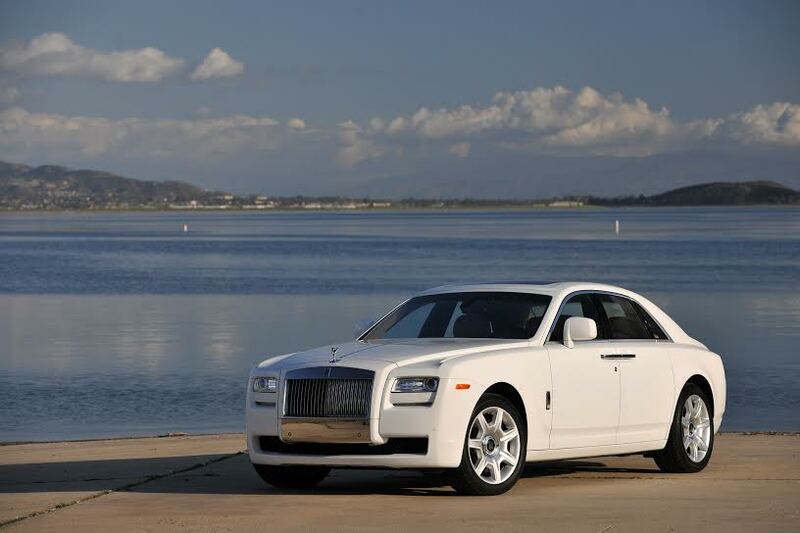 Achieving a new dynamism while remaining true to its heritage, Ghost projects a more informal presence than the Phantom with an even greater emphasis on driving, and as such the 2014 model year reflects this vision of riding and driving in peerless fashion with subtle enhancements that ensure the car is equipped to pinnacle Rolls-Royce standards. While seated comfortably in the Ghost’s slightly elevated position behind the wheel, described as the authority position, drivers will now have a new IPS 10.25″ HD screen before them, the largest in its class, featuring higher resolution with a better viewing angle and color contrast. This screen can be used to display the impressive 3D City View, which is one among many subtle navigation enhancements in the vehicle including new map representation, improved road calculation and High Guiding, where the correct lane and the correct turn is recommended to the driver via the split screen as a clear small map. 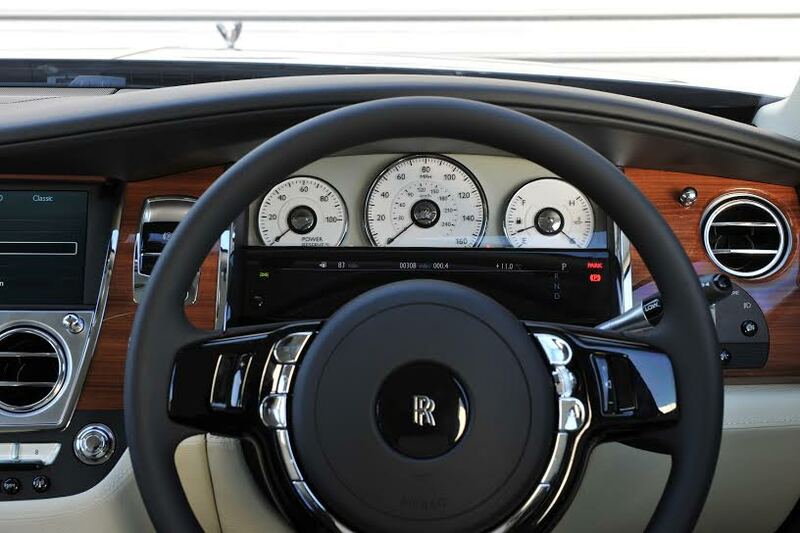 The Spirit of Ecstasy Rotary Controller in the 2014 model year Ghost presents a pad with the ability to scroll through function menus by turning the chrome dial and pressing down to select its functions. A pointer function allows menu options to be selected more quickly. The inclusion of inputs by written text, for example where a name and number must be added via the telephone menu is an additional improvement. It recognizes characters in English, Latin, Mandarin and Arabic, to assist drivers in the company’s second and third largest global markets, mainland China and the Middle East respectively, where character selection can otherwise be a time-consuming process. Created and fine-tuned by the leading experts in industry, the bespoke sound system in the 2014 model year Ghost allows for a rich and all-encompassing aural experience, bringing the centre of sound even closer to the passenger’s ear. An array of 16 loudspeakers, two tweeters and a full active 18-channel amplifier with 1300W maximum power deliver unparalleled sound quality, while the Theatre setting creates a perfect surround-sound “bigger than live” experience. The latest in audio-engineering technology ensures that no external conditions can affect the sound quality inside the vehicle. Automatic-controlled microphone volume and tone adjustment change the music according to the noises around the car, for example the sound will change in windy conditions and also over uneven roads to maintain optimal sound. In addition, DIRAC technology process eliminates loud spots and dead spots caused by sound reflecting off windows while Active Crossovers eliminate sound distortion. Adding to the already vast array of existing comfort features, Ghost 2014 builds upon the Comfort Access, a first of its kind convenience feature first introduced in the Ghost 2013 model that allows the opening of the boot with an effortless foot movement in case both hands are busy. The new model now includes a Smart Close function alongside Smart Opener, where the boot can then be closed with a foot movement beneath the rear bumper of the car. The aesthetic appeal of the Ghost is further enhanced with the option of Salamanca Blue and Silver Sand colours fortifying the existing palette of 44,000 exterior paint options, while three new wood variants have been introduced: Tudor Oak, Cross-banded Waterfall Bubinga and Lemon Satinwood, and Cross-banded Paldao and Dark Heart Ebony. Ghost is a modern execution of timeless Rolls-Royce elegance, widening its appeal beyond the purely traditional but retaining the core values that make the Rolls-Royce marque unique and cherished. The engineers at LOCMAN have upgraded the Montecristo and given it some extra competitive edge, making it the first mechanical self-winding chronograph. To make this possible, the SIO Italian School of Watchmaking, part of the LOCMAN group, partnered with DePa Swiss Movements, an enterprise of Swiss artisans specialized in movement concept and development. 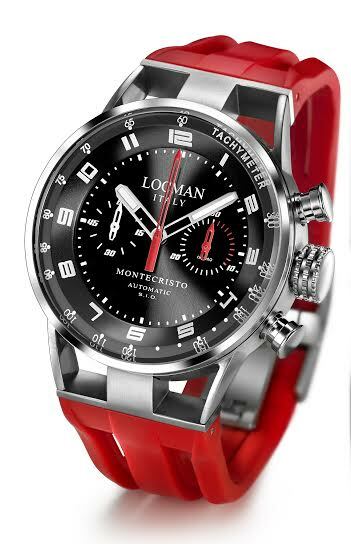 The SIO – Italian School of Watchmaking was founded by LOCMAN in 2006 with the intention of establishing a research center and constant monitoring the quality of their watches. Over the years, SIO has certified and also developed the mechanisms of its major collections, partnering with companies for special projects. The oscillating weight is enhanced with a bright yellow shade and personalised with the LOCMAN ITALY logo. The calibre reference – SIO/DPch 88 – is indicated on the movement main plate. The dial features sunray-pattern enamelling, the minute counter is placed at 3 o’clock and the small seconds subdial at 9 o’clock, while the tachometric scale – absent in the quartz version – appears around the inner bezel ring of this model. The AISI 316L steel and titanium case is made of exclusively non-allergenic materials usually found in surgical instruments, and is topped by a flat glass with a special sapphire treatment to give the material a hardness comparable to that of natural sapphire as well as an exponential increase in its transparency. Tested water-resistant to 10 atmospheres, the Montecristo chronograph case is attached to the silicon or hi-tech Lorica strap by the distinctive triple-bar lugs. Almost two weeks ago, I was invited to try the new menu at Olivo’s, the restaurant located at the mezzanine level, in Radisson Blu Martinez, Ain El Mreisseh, Beirut. I went there for lunch with my parents, we were warmly received by the restaurant’s manager, who guided us to our table and seated. The restaurant’s manager was so friendly and helpful, he gave us an idea about the new menu and showed us the exquisite items from it. After the crudité platter and the fresh bread basket that we had with olive oil and balsamic vinegar, that the manager prepared for us, we started with the appetizers. 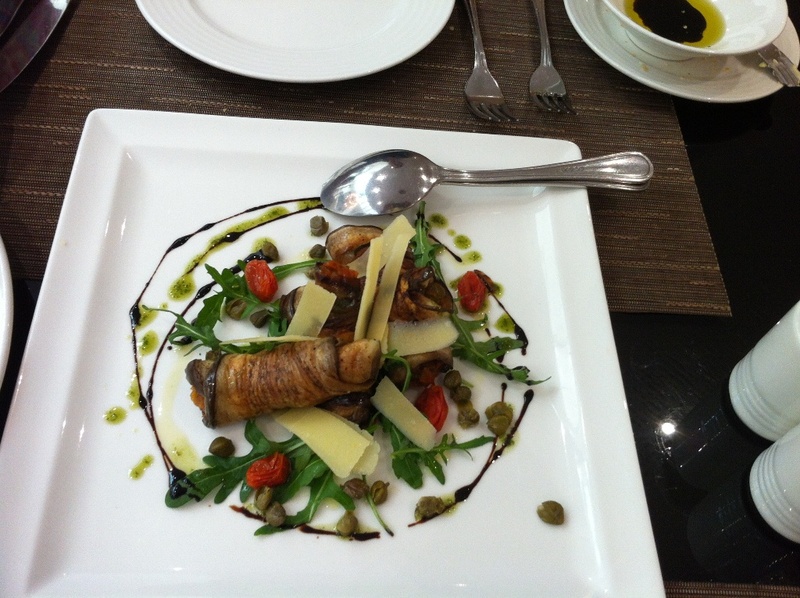 We had at first the aubergine rolls, which are made of thin slices of aubergine wrapped around tomato puree, decorated with a bit of balsamic, cheese, rocket leaves and cherry tomatoes. 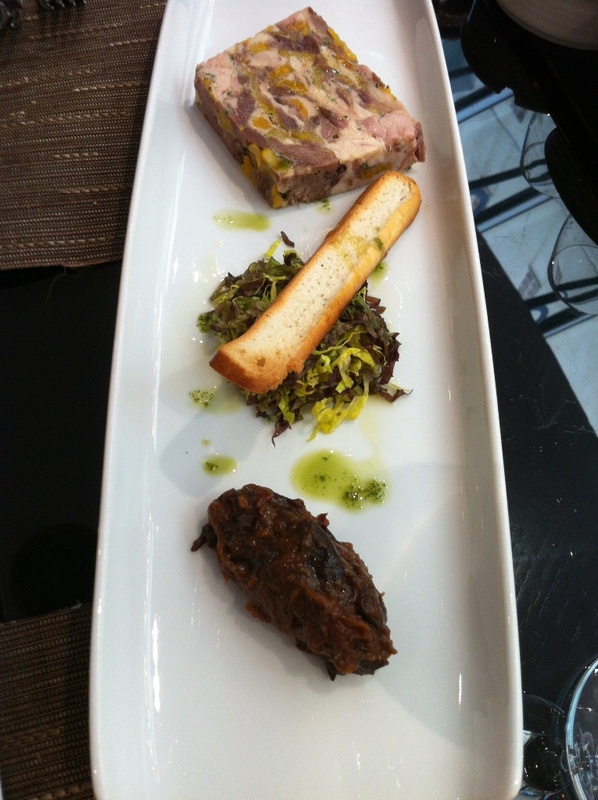 Then we had the duck and chicken patée served with jam. Until the main dish was served, we enjoyed a lemon sorbée and enjoyed the calm music in the background. While enjoying our meals, Olivo’s Indian-British chef visited our table,and we could put a face behind the delicious food. To get to know him better, stay tuned for an interview with him on my blog! Even though we tried new items and combinations, like the eggplant rolls and the duck/chicken patée, we enjoyed our food a lot. The ambiance of the restaurant is really nice , welcoming and friendly. If you’re going out with your other half, friends or family, I highly recommend you to try Olivo’s restaurant.